The UAE’s prominent real estate developers, particularly those based in the capital, are gearing up to create and unveil new pricing strategies for investors at the upcoming industry expo Cityscape Abu Dhabi. A leading regional event for the real estate industry, Cityscape Abu Dhabi will be held from April 17 to 19 at Abu Dhabi National Exhibition Centre (Adnec). New reports on the Abu Dhabi and UAE real estate market have cited a swathe of developers introducing more attractive payment plans in light of current market conditions, said industry experts. Carlo Schembri, the exhibition manager for Cityscape Abu Dhabi said: "With the current market conditions highlighted in the JLL and Cluttons’ reports, such as the sustained drop in demand and the knock-on effect of VAT for property owners, we will expect to see developers being more competitive at Cityscape Abu Dhabi this year with the introduction of a wave of new attractive plans." "While selling properties on-site is not a new feature for the show, we do expect to see an increased level of competition among developers this year, which can only be good news for investors," he added. 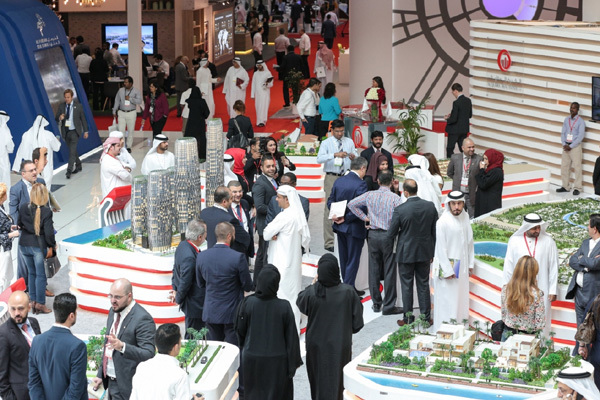 Additionally, a number of Dubai developers will be making their first appearance at the three-day exhibition to capitalise on the opportunities the capital presents as an emerging market and international hub for decision makers in the industry. Azizi Developments CEO Farhad Azizi said: "Cityscape Abu Dhabi is an optimal platform for our organisation to affirm our commitment to the UAE Vision 2021, sharing our mission to build sustainable, progressive, and elegant residential and commercial developments in the UAE." Azizi is one of many leading Dubai developers turning their attention to Abu Dhabi in the coming months to showcase their latest projects. Others attending Cityscape Abu Dhabi include Danube, Kleindienst and Tiger with Binghatti Developers and MAG Properties joining for the first time this year. Both reports note a decrease in prices for Abu Dhabi, with Cluttons stating a 4.1 per cent decline in house prices from the previous 12 months, and a further predicted downslide in rents ranging between five to seven per cent, which has incentivised developers to craft new ways of attracting investors. "With the price of oil still recovering, and as we reach the market’s phase of bottoming out, developers have adapted to bring on new investors without sacrificing the status of purchasing property in Abu Dhabi," remarked Schembri. “Many developers continue to target the middle-income housing segment and have shifted their developments to attract this audience. With reduced unit size and construction costs, and a large appeal to investors, it has been a winning formula,” he stated. While the current conditions described in the reports hint at a future decline in prices and rents, it does suggest that additional future gains for investors with foresight could be made for those purchasing now. Schembri pointed out that now more than ever, the current state of the real estate market provides prospects for savvy investors.